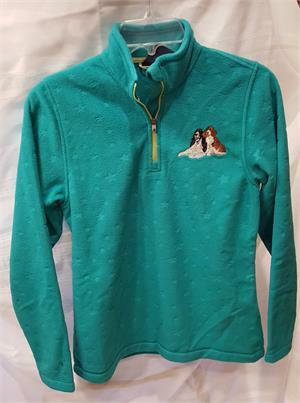 This Lands End fleece is perfect as an extra layer inside or outdoors. Light fabric is brushed on both sides for softness. 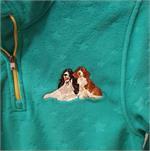 Stamped with stars and then embroidered with two Springer Spaniels Anti-pilling finish. Half-zip pullover style. 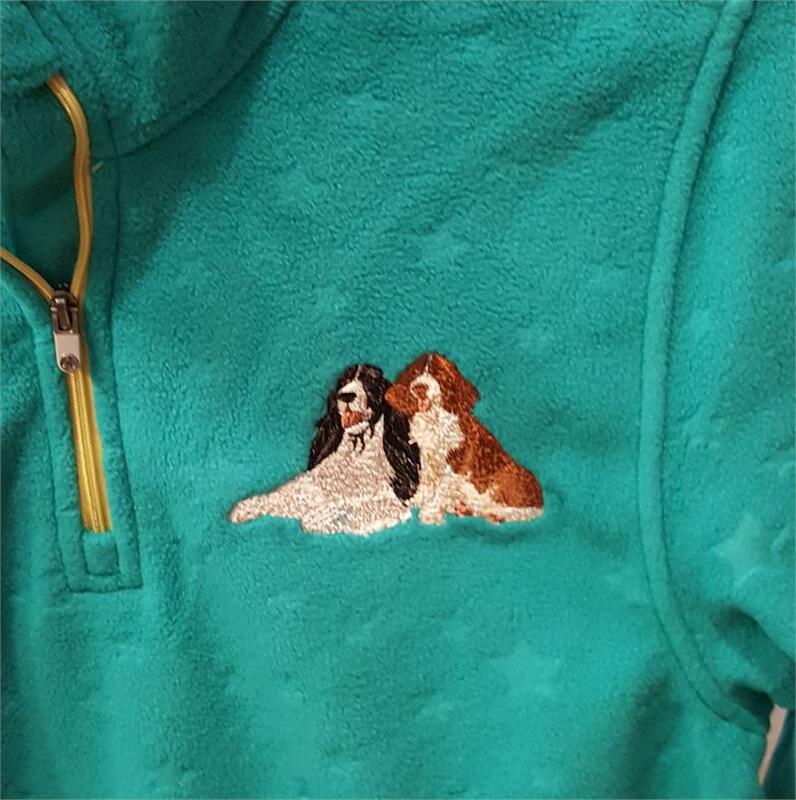 100% polyester micro-fleece. Machine wash. Imported.